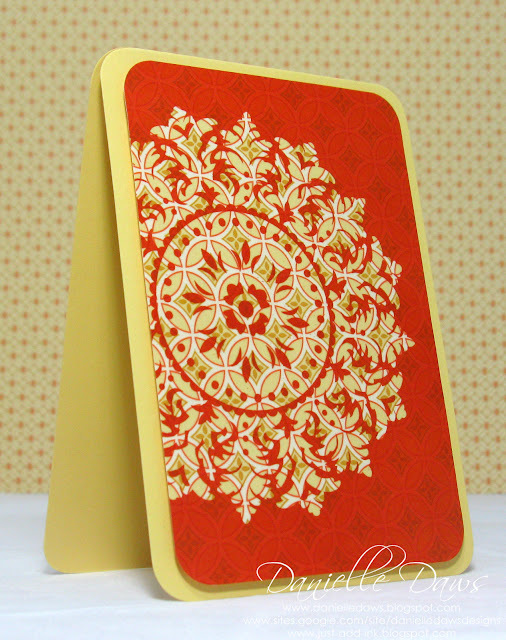 It's Just Add... Embossing this week at Just Add Ink, so I thought I'd share another embossing card with you. I love using this technique. 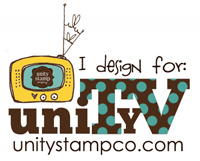 You clear emboss an image over patterned paper, then use a brayer to coat the entire panel with ink. Wipe the excess ink off your embossed image with a tissue, and you're done! I used this technique for this card using black ink, so the patterned paper was completely covered where there was no embossing, but I love how this card has turned out using Tangerine Tango! I love that the pattern can still be seen. Great card Danielle. 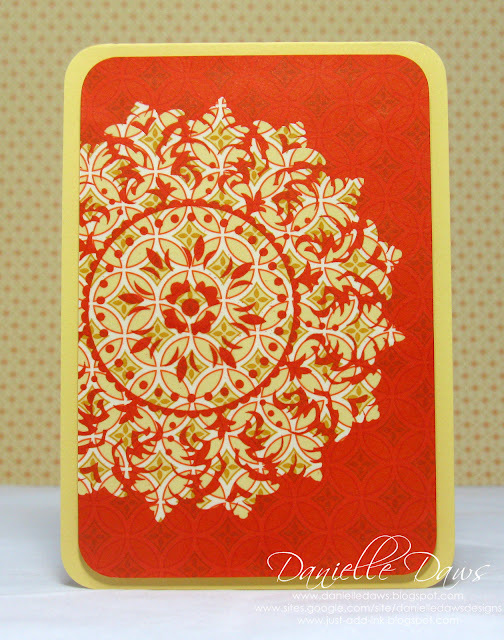 I have done this technique on Whisper White cardstock with stamped images underneath but never thought to do it on DSP, what a great idea! Must try it. Beautiful. I love Tangerine Tango. Snap! I used this technique for my card this week! I love what you have done here! I have many possibilities running through my head now! Thanks for the inspiration!! What a cool technique! Great card! I have never seen this before- and I love it!! I will definately be having a go. Wow! This is very striking! Neat technique! Love how you used DSP under it. 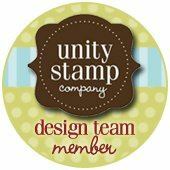 It is a stretch for me to stamp on DSP, much less emboss on it, so thanks for the reminder and beautiful inspiration! Absolutly gorgeous as always Danielle. Never thought to use this technique with dsp...will be trying it out for sure! YES! You are a Minimalist. A DYNAMITE Minimalist. My heart's desire is to be half as good a Minimalist as you. Thank you so much for sharing how you did this. I wouldn't in a million years have thought to use DSP in this way. The beauty of it is that I've inherited a bunch of DSP I wouldn't otherwise use.......now I can cover up enough to make it useful. Wowzers Danielle this is fantastic. I've never thought of doing that and is such a great technique! Thanks for the inspiration. i tried this and mine didn't turn out so well! my DSP didn't show through (though it was monotone, working with the new catalog... your DSP isn't in it...) and when i inked over it, the remaining pattern was washed out. guess i'll try it with another color/pattern. maybe mine was just too blah... LOVE your card.